Udaipur has always been famous as a tourist destination thanks to its serenity and natural beauty. Obviously, it is the most beautiful city on the planet. But yes, as they say, there is always a space for improvement. 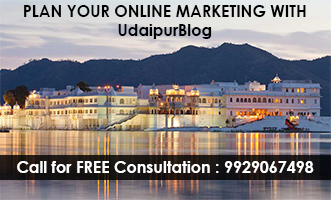 There are certain things that can make udaipur the ultimate travel destination. These things when fulfilled, will surely help the tourist flow to this Awesome City. Be it the Essel world of Mumbai or Wonder La of Bengaluru, these have always been in the places that tourist include in their must visit list. So how about a amusement park or a Water Park in our city. This will attract the tourists for sure and also give a new place to the local people as well as the tourists. While planning for vacations, the tourists definitely searches for places on the Internet. They will research about the place they are visiting, especially the ones from outside India. So Udaipur must have cool, official website with plenty of photographs. Like we love having variety in our lunch/dinner, tourists visiting will definitely require a variety in the places they are visiting. 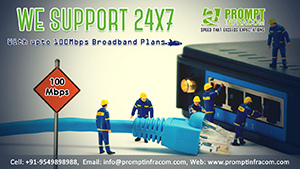 Adventure sports will always work as a great option for them. 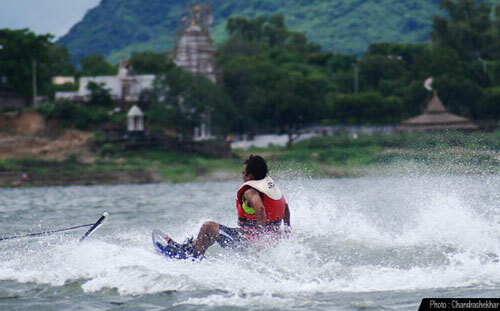 Also Udaipur has that potential to develop Adventure Sports as it is surrounded by many mountains and water streams. We seek our local government to work over this new class of Adventure Tourim. Foreigners visiting Rajasthan may prefer Jaipur over Rajasthan the simple reason being better connectivity. No direct flights or even a stop, has been a negative point for Udaipur. If the number of International Flights are increased, the foreign tourists visiting will also increase as being directly proportional. Udaipur lacks way behind in the field of Night Life. Our city has zero night life with no clubs, discos or places to Eat. Development of good pubs and discos can change city’s Night Life condition. This will surely attract more tourists and allow them to enjoy their Journey in Udaipur. Also better Local transport and cleanliness will leave a soft corner for our city among tourists which will attract them towards our city again. These 5 are the major things that need to be taken care of for development of Udaipur as the Ultimate Tourist Destination and therefore going higher in the Tourist’s rankings. We Hope our Government and Businessmen from Udaipur come up to enhance the present Status. Next articleTwo reflections of Gangaur Ghat : What do YOU think? I appreciate Blogger ‘ s attempt to look towards possible areas for increasing the number of tourists visiting Udaipur. I do agree with point related to need of International airport at Udaipur. Certainly it will increase the number of international tourist as well as cater to local ( mewar region ) international travel. I do not agree with water park or adventure sports and night life will have positive impact on increase in tourists. Udaipur is liked by tourist for its historic and cultural ethos besides it’s natural beauty including lakes. 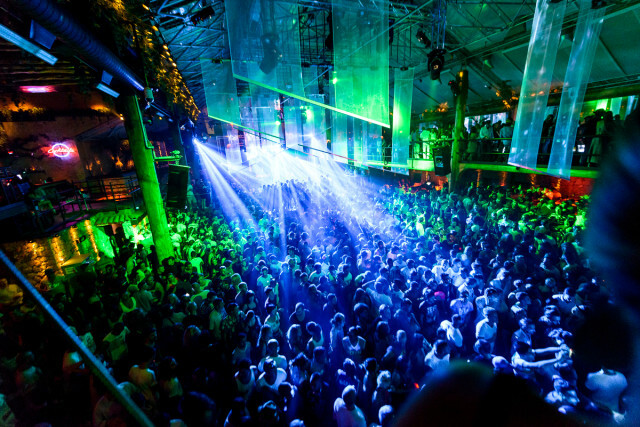 Promoting Udaipur for night life will bring it’s evils also with it and will change the total concept of Udaipur. I think the new site is in-progress and by mistake the domain is open and accessible publicly instead of showing “Under Construction” message. Why it seems under construction….as all the major functionality are not working like the search, read more links, increase and decrease fonts size etc. It seems they are still working on them. But yes they should take care and display under maintenance message on Home page instead of allowing user to access incomplete pages and functionality…. it gives bad impression about Udaipur to all the visitors. Some very good points raised, the best being the Water Park one. 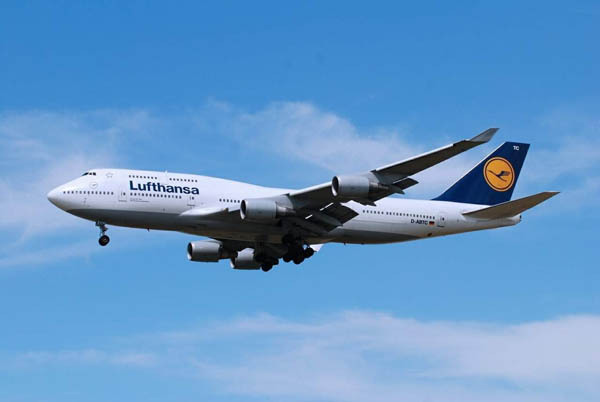 One more > Decent means of public transport or at least intra-city bus service…that should come along the international flights connectivity. Is this what Udaipur needs or is it what You need.. ?!? I can imagine living in Udaipur mite get Boring.. But being a tourist who’s planning to come to Udaipur soon.. Most of the above mentioned by you is Not what I’d be expecting to OR looking forward to seeing there.. Except Website & international flights.. None of the above make sense! People come there for the Rich heritage Udaipur has to offer.. Not Night life of amusement or adventure sports! They can get the Best night life in the country in Bombay or Delhi..! Just my Opinion & a Reality check for the one writing this blog.. So u don’t disguise Your needs for the modernisation of you lovely city.. Making false claims saying that’s what tourists want! I suggest that starting at the beginning: essential beauty of Udaipur, would be a great thing to do. It is/was such a wonderfull city! So: how about a refreshing cleaning and painting job! For this all citizens can work together. Udaipur is indeed one of the most livable cities in the world. It is beautiful, friendly, cultured, and has great weather. International flights would be helpful, as well direct flights from other gateways like Chennai and Ahmedabad (or a convenient connecting bus). A good website is always helpful – please make sure someone whose first language is English edits it. I agree with the comments emphasizing that Udaipur’s charm is its history, culture, natural beauty. We don’t need a water park, and we especially don’t need night life. What we do need is to look carefully at some of the factors that inhibit tourism. Cows and cow feces everywhere is one factor. Udaipur traffic – especially downtown – is bad enough without cows on the roads. And the ubiquitous excrement … well I don’t find that it adds any cultural value. Take a lesson perhaps from Trivandrum in Kerala … is it true cows have been banned from the streets there? It is a certainly a lovely clean city. Another factor is NOISE! Specifically wedding party noise in the downtown core. The City Palace is the loudest offender – though increasingly that noise seems to have migrated to the Jag Niwas and Jag Mandir. Add to that the LOUD wedding and festival music broadcast predominantly by young men from oversized systems set up on street corners to which no one is listening. Take a lesson perhaps from RIshikesh in Uttarakhand – it is quiet, peaceful and everybody looks quite blissful. I am not suggesting Udaipur ban alcohol or meat as Rishikesh as done – but that Udaipur take seriously the rapidly increasing noise pollution in the city. I am a long time and proud winter resident of Udaipur because of the attributes mentioned at the beginning of this comment. Recently I have started looking for alternatives as the downtown core becomes increasingly less attractive to live in. I wonder what the tourists are saying. Doodh talai ki safai kab hogi?